Mesotherapy is a system of transdermal skin delivery in which micro-needles puncture the skin to allow the delivery of active ingredients deeper into the dermal layer. The medications are used to stimulate the skin cells to produce more and better quality collagen and hyaluronic acid. This causes wrinkle improvement, skin tightening, hydration and skin radiance. Mesotherapy can also improve the appearance of cellulite and enhance hair re-growth by improving circulation of the scalp and providing needed nutrition to hair follicles. The effect of Mesotherapy can be enhanced by eliminating toxins from the diet and maintaining a healthy exercise programme. 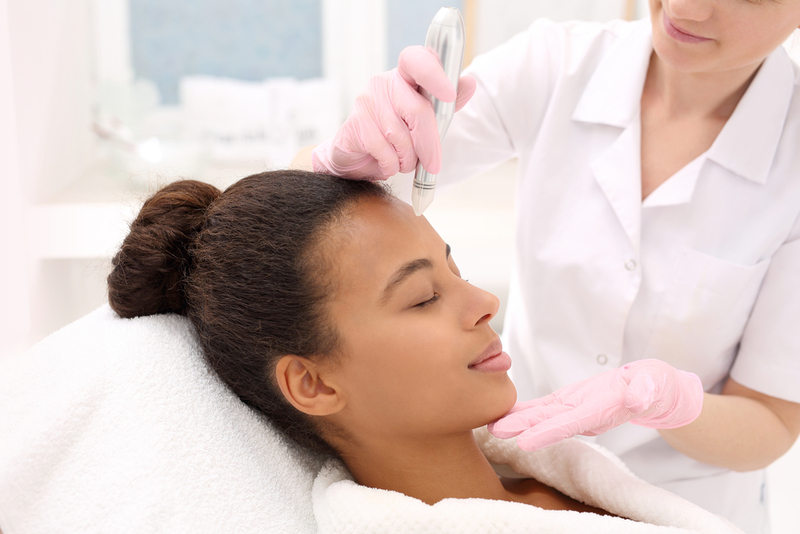 Mesotherapy mostly requires a course of treatment and then a maintenance period. The patient can experience some redness, which should resolve within 24 hours. There is no downtime and patients can continue with normal skin care regime after 48 hours. Bruising is common if delicate or sensitive areas are treated, however, this will resolve within 7-10 days. Scabs from wound healing should not be picked or removed, as it can result in pigmentation or scarring.